Looking for a youthful, radiant face? Here’s the solution. If you fancy yourself a grown woman, you’ll agree that a fine face can cover the sins of aging. A soft, supple, glowing skin is the dream of any girl, aged or not. Worry no more ladies, facial steaming has got you covered! Spoil yourself to a steamy facial, and I wager my life savings you’ll emerge looking smoother and creamier than ever. It is a simple gadget that uses warm water to clean out your pores and moisten your skin gently. It’s adored for its non-toxic ability to get rid of stubborn dirt and grime on your face. That said, you may ask yourself why go for the facial steamer? What are the perks? After all, doesn’t water do the same thing? These devices have significant advantages over the traditional hot water in a bowl. They generate superfine steam that is easily absorbed by the skin giving you a youthful feel and look. Some also have an added ozone technology that not only opens up pores but also act as a disinfectant. At-home facial steamers are made for minimal individual use. They are portable and small-sized designed to fit in your carry on when travelling. All are accompanied with a manual for easy familiarity. You don’t need to be a seasoned esthetician to find your way around it. As the name depicts, the professional facial steamers require a certain amount of advanced skill to operate. They have incorporated more features and are therefore understandably bulkier. These are mostly found in spas but some can be used at home too. 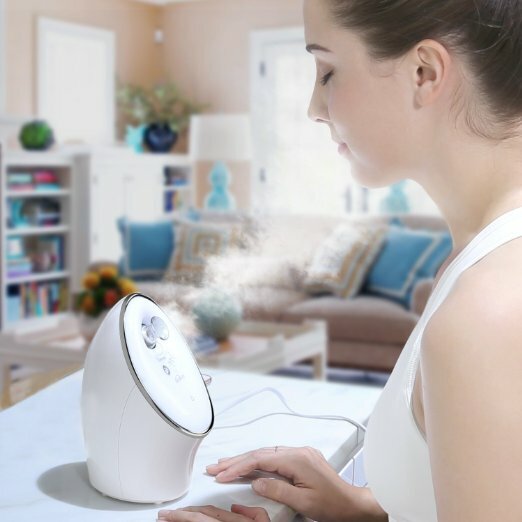 Read on for an analysis of the best home facial steamers﻿﻿ reviews as well as the best professional facial steamer reviews. 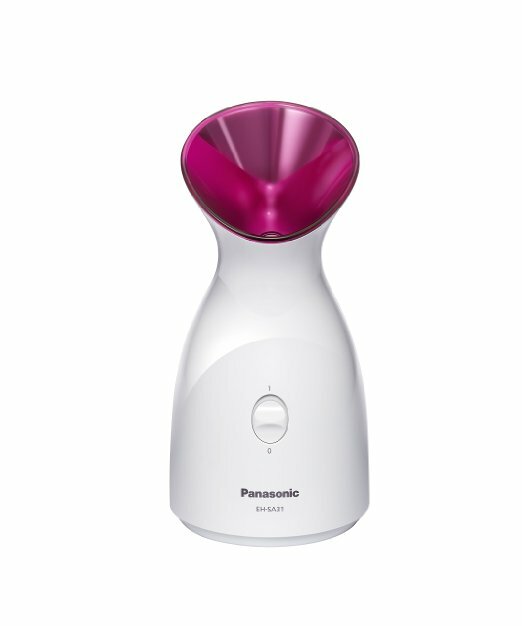 If you’re pressed for time to hit the spa yet, you're still in need of a spa-grade quality facial; the Panasonic EH-SA95-P is the steamer for you. 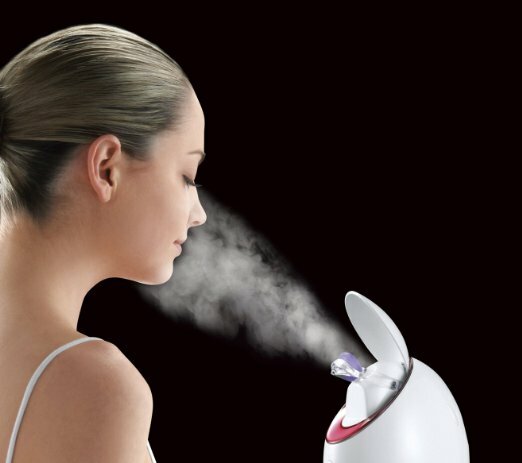 It has curved out its own unique niche in the facial steaming world with its cold and hot steam mist generator. The warm mist allows your pores to breathe leaving your skin hydrated and youthful. While the cold mist closes your pores keeping your face refreshed in hot environments. The dynamic hot and cold gap it employs yields great results giving your skin a smoother feel and look. Just in case you are wondering whether the cold mist cancels out the work done by the warm mist, the answer is a big fat NO. 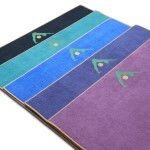 It reinforces the job done by preventing more clogging of oils and dirt after your pores have been opened and cleaned. It boasts of Nano technology that produces micro-sized mist, able to penetrate deep into the skin in those hard to reach areas in mere seconds. The two air outlet steam generation is to die for. One emits steam at a fast rate of 12ml/min and the other a slower 4ml/min. How amazing is it to have a steamer that allows you the freedom to adjust it to suit your needs. 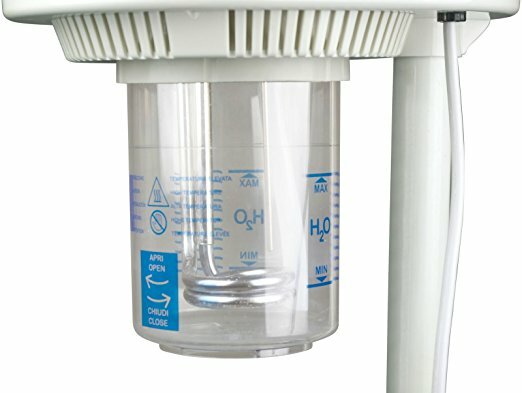 Its 200ml water reservoir is quite generous for a home facial steamer. This is excellent for the lazy bums like me who hate always having to refill the tank. If you haven’t yet been impressed, the adjustable nozzle brings it home. I don't know about you, but I welcome the opportunity to be in control. The adjustable nozzle allows you to set it in the best angle from your face as you sit or stand comfortably. It bummed that only distilled water can be used, tap water damages the steamer. Its diverse features make it suitable for all skin types. You’re never too oily or too dry for this steamer. Whether you have crocodile-like or sensitive skin, the features can be fine tuned to your liking. KINGA earns its spot as one of the best home facial steamers because of its deep 12 - 16-minute hydrating ability. It has a miniaturized PTC (Positive Thermal Coefficient) ceramic heating element that not only quickly vaporizes clean water but also produces powerful visible steam. With a brain of its own, it intelligently turns the power off whenever there is no water or physical overflow in the reservoir. Yeap, you thought it, this steamer might just be smarter than us. 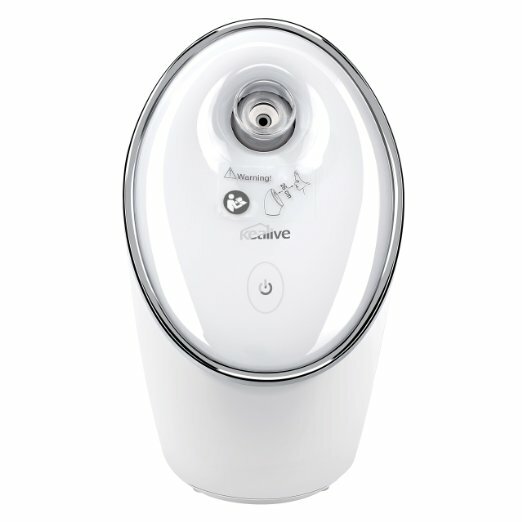 The large nozzle caters for a free and constant flow of soothing steam that hydrates and relaxes your skin. However, you will need to turn your face a few times to the side so you can take a breather from the steam. The manufacturers knew you are a busy lady constantly on the go. They made sure to lessen your load by making the steamer quickly heat up. Kudos to the manufacturers for being aware time is money. The Nano-ionic expertise employed is a double-edged sword that further catapults this steamer’s prowess. 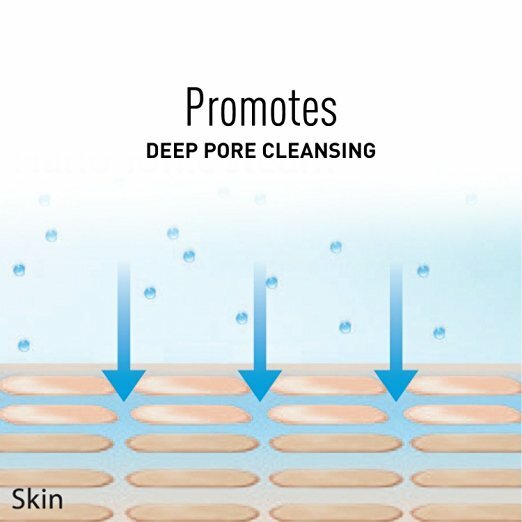 The ions assist in opening your pores while the thin water molecules penetrate deeper into the skin. It ultimately increases the effectiveness of other beauty products that require profound exposure to the dermal tissue. Some have taken issue with the heat of the steamer, especially those with sensitive skin. As a precaution, I would advise you to keep it away from the reach of children’s sensitive skin. Tap water, oils, herbs or flavoring agents are a no go zone. 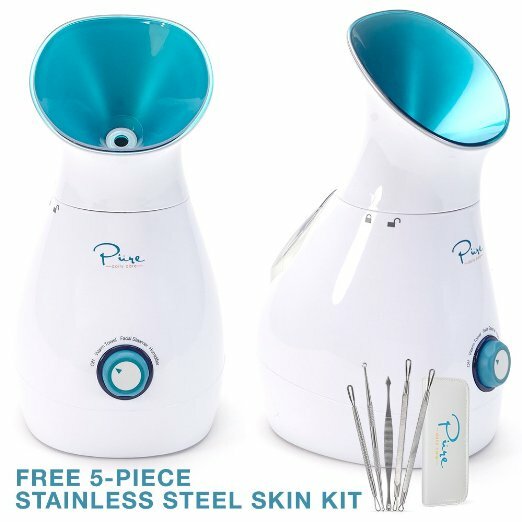 If you’re grappling with an unsightly blackhead or whitehead and most traditional and contemporary remedies, have failed you thus far, take advantage of this steamer. It is best used in combating acne. The sleek, stylish compact design wins it for this steamer. If you’re a girly girl, you’ve found your drug. In just 6 minutes or less the nano-sized steam manages to purge makeup and other impurities from your skin. The upward facing nozzle is so much more comfortable than the traditional ones that require you to bend uncomfortably into the cone. You can sit at your bathroom vanity or kitchen counter while the steam is directed up toward your face. The design is a treat for us ladies. It marries well with any bathroom, makeup table or dressing area décor. It’s also accompanied with super easy to follow instructions that even those of us who are technologically challenged would understand. 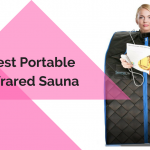 It has a small water chamber that allows you to push out steam into your skin quickly. A safety precaution to keep in mind, don’t get closer than 8” to the steamer. It has a small water reservoir allotting you with the task of always filling it up when it runs out of water. It’s not an appropriate model for aromatherapy. I would recommend it for a daily facial cleansing regimen. Ladies, this is the perfect replacement for those disposable makeup wipes. Get much more for much less with this home facial steamer. It has gained international acclaim with its 3-in-1 design lingo. Other than the facial steaming capabilities, it doubles as a humidifier for large rooms with towel warming settings. What more could you ask for? Its multifunctional capabilities put it in a league of its own. Merely referring to it as a facial steamer doesn’t do it any justice. What of the weight you ask? It only weighs 2.5 pounds. I’m still awed by how this lightweight can deliver so much than we bargained for. It has a long running time of up to 30 minutes. This stems from its reservoir ability to hold up to 200ml of water. By now you get the gist of nano technology, so I will not bore you with repetition. 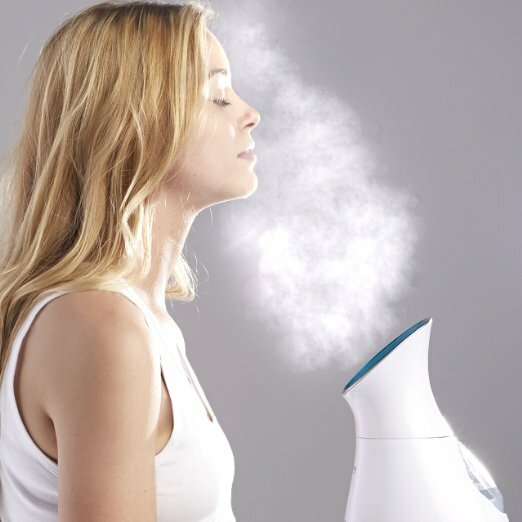 You can be sure of improved cell vitality for a younger looking complexion with this steamer. The manufacturers saw it fit to add a b﻿﻿onus five piece skin kit. The five piece surgical grade stainless steel complements your steamer correctly. With effortless dexterity, you'll be pimple free with this combo. The only fault it has is that it’s difficult to turn the dial of the steamer when your fingers are wet as they slip right off. The all in one system renders you with spa-quality facial treatment at the comfort of your home. 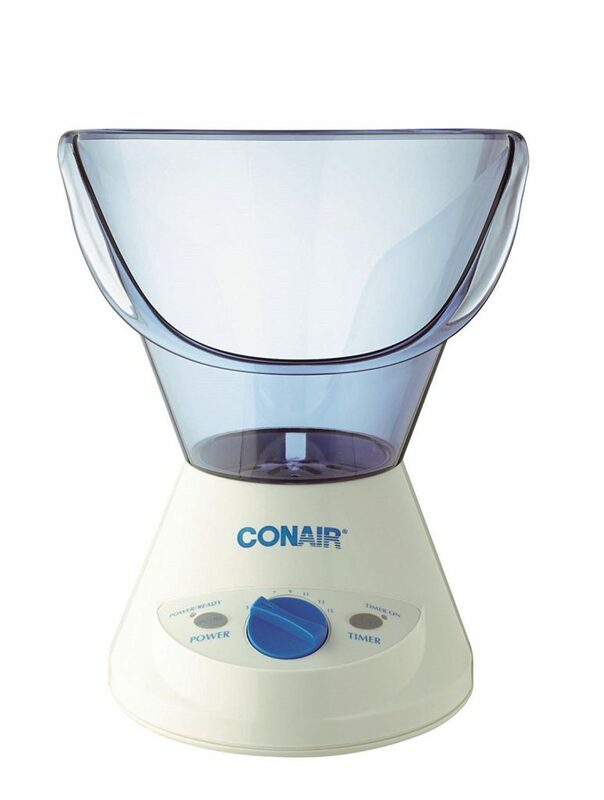 Conair’s contribution to the top 10 best home facial steamers review would have to be its ridiculously affordable price. You don’t have to be rolling in the greens to purchase this steamer. The convenient cone based open plan design allows great versatility to not only concentrate mist on the face but also steam up clogged nasal and sinus passages. You can add essentia﻿l oils to the water for a more advanced aromatherapy session. This sets it apart from the others that can only run on distilled water. It has an integrated timer for easy custom setting with a built-in auto-off feature that further optimizes user safety. To add onto the whole shebang, a bonus facial sponge and brush attachment is provided by the kind Conair Manufacturers. One is used for cleaning while the other is intended for in-depth moisturizer application. This exfoliates your skin leaving you feeling hydrated and alive! The most common source of discontent would be the size of the facial attachments. Some have found it not to be broad enough to cover the whole face at one time. Its cone based design has been faulted as it requires you to uncomfortably lean into the steamer as opposed to the steamers with nozzles that direct steam up towards you. 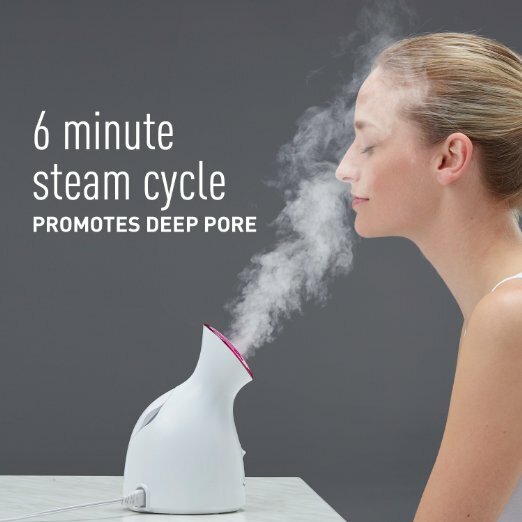 If you’re just dipping your toes in the facial steaming world for the first time, I would recommend giving this steamer a whirl before advancing to others. With a stellar rating on online platforms, you know you are in for a treat with one of the latest Panasonic inventions. The Panasonic EH-SA35-P lived up to its esteemed brand name by utilizing nano-sized steam technology. You might be wondering, why buy this particular Panasonic steamer and not the other two? Well, this particular one embraces the relaxing aromatherapy that is lacking in the others. It boasts of trendy smooth compact figure never before achieved by any other steamer. Its design has been further elevated by mounting a cover at the top the body that protects the steamer’s nozzle. It has a long detachable power cord that accommodates for tight storage space and flexibility. It allows for the use of essential n﻿atural oils, herbs and other fragrances that rejuvenate the skin giving it a youthful radiance that cannot be achieved by steaming alone. One glitch, though, the aroma tablet is sold differently from the steamer. It goes without mentioning that the nano care technology assures you of first class results. It produces 100% pure blend steam that does not irritate the skin or compromise its structure. 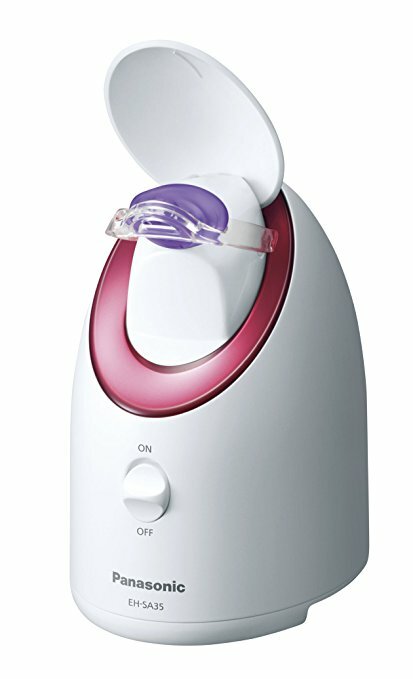 This home facial steamer was invented in Japan and may require a power transformer and plug adaptor for use in other countries. The manual is only in Japanese. It also quickly runs out of steam. The steamer is primarily suited for the Japanese market. However, if you suffer from a case of FOMO (fear of missing out) like me, you can always find a way around the constraints. Very few home facial steamers can offer aromatherapy. The sleek modern look of this steamer was a welcome sight for my sore eyes. 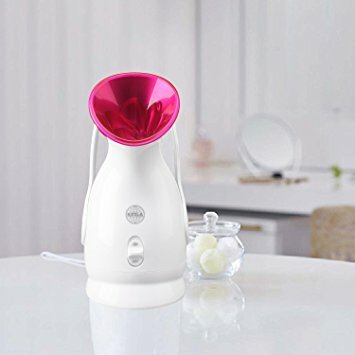 It is an affordable at-home facial steamer that can double as a small home humidifier during summer. It produces a more refined steam by using the nano-ionic technical know-how. Power ramps up quickly after being plugged in. Hot steam will be sprayed your way in just 40 seconds. It also has a smart auto shut off feature whenever there is no supply of water in the steamer’s reservoir. Its adjustable nozzle puts you in the driving seat to choose the best angle in which the steam will fully envelope your face. You don’t want to waste the strong thick steam that will be spewed for roughly 10 minutes. This is a fair bargain considering its 90ml water reservoir. 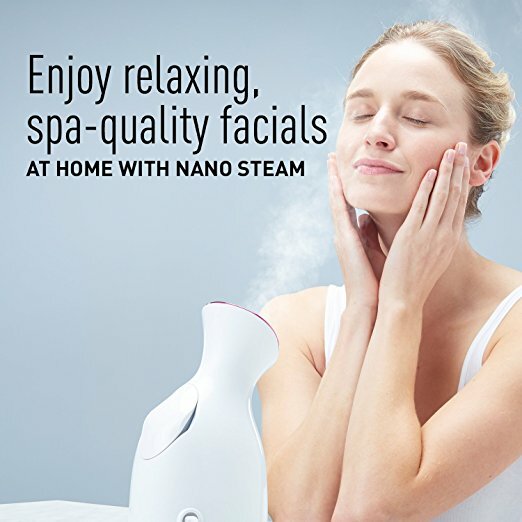 With the simple touch of a button, you can bathe your face in refreshing nano ionic steam that will make you age more gracefully. Ladies, it can’t get any easier than that. Dissatisfaction has arisen from the ticking sound it makes when the water starts boiling. It’s also been faulted for having a strong plastic smell during its initial runs. The smell slowly dissipates with continued use. It can only run on distilled water. 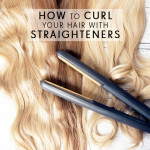 Unlike the chemical based products, this steamer delivers salon-quality results without costing you a fortune. 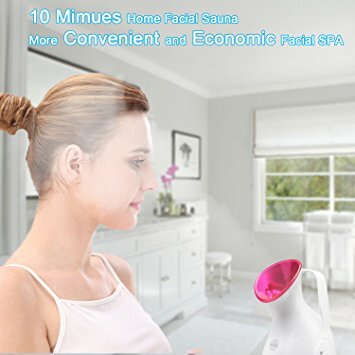 Esthology Multi-function Ozone Facial Steamer deserves a spot in the best professional steamers reviews owing to its multifunctional ozone technology that works wonders on all skin types. What is ozone technology you ask? Ozone aka activated oxygen is a potent germicide that is naturally produced. Don’t mistake it for smog. It comprises of three unstable oxygen molecules. The third atom will eventually break away and leave pure oxygen molecule. The singlet will attach onto unhealthy cells with viruses and bacteria to neutralize them. Have you ever smelled a pleasant, clean smell after a thunderstorm? That's ozone at work helping clean the air during the storm. Ozone and steam therapy work hand in hand to get rid of dark circles, thinning lips, creases and sagging skin. They complement each other like a lock and key. Steam opens the pores and sweat glands which in turn allows more ozone to penetrate the skin. It has two in service modes; steam only and steam and ozone. 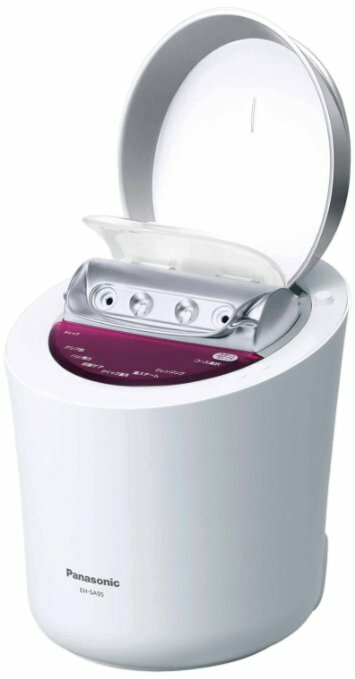 Its water reservoir is housed in a heavy duty glass frame that enables it to transform distilled water into a great stream of pore-opening, muscle relaxing heated vapor. The top-mounted water inlet makes this professional steamer easy to fill and use. Safety is clearly a priority with its inbuilt 60-minute timer with auto shut-off feature that confirms precise duration of treatment. 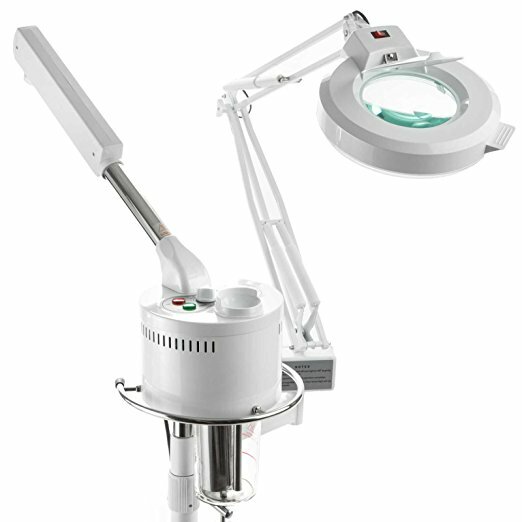 It utilizes UV light to soothe your skin further, by using an included diopter magnification lamp. This not only combats skin bacteria but also lasts long. Courtesy of its weighted rolling base relocation between and within rooms is comfortable. It has no spot for aromatherapy. A seasoned esthetician is needed to operate it . It’s not suitable for home use. Professional grade materials have been used to manufacture the steamer making it extremely efficient in its work. Are you exhausted of splurging hundreds of dollars to rejuvenate and steam your face? If you wish to cut on costs and enjoy a professional spa-grade quality steam, Jocasta is the way to go. It’s one of the best professional facial steamers for home use. 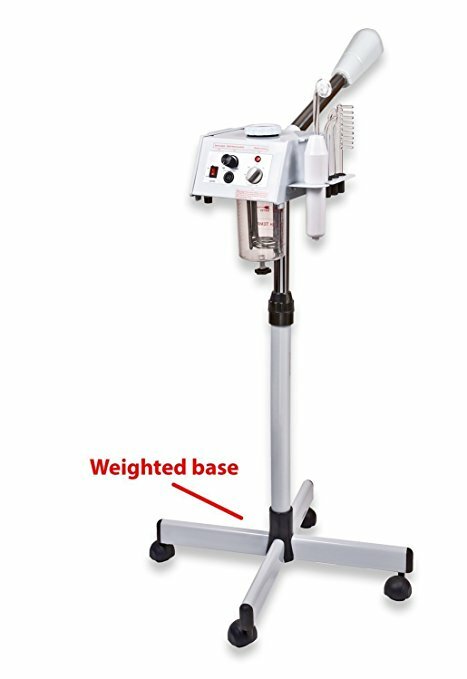 The high-density materials used to manufacture this facial steamer make it strong and durable saving on maintenance costs. It disperses steam containing oxygen ionic vapor that thoroughly clean and sterilize your skin up to 30 inches. You’ll be the envy of the town after using this facial steamer. 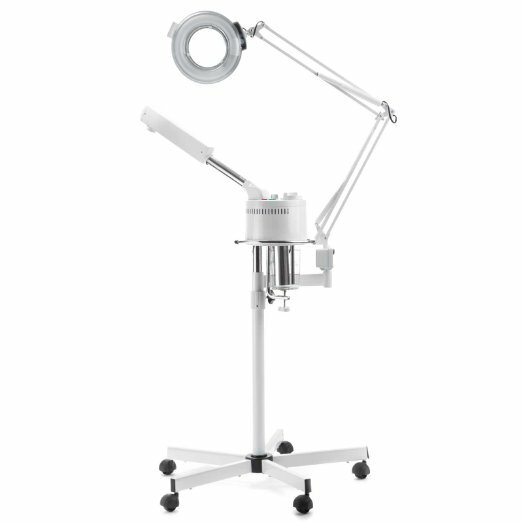 For better dermal exposure, this professional steamer has an adjustable arm that can be used to move its steam head around your face. The backing of an auto shut-off feature makes it reliable as you’re instantly alerted when the water level is low. The only slightly annoying feature is its inability to offer the option of aromatherapy. This is an ideal skin therapy tool for both commercial and home use. There are many products available in the market that promise to give you that beauty glow though only a few stay true to their word. The eMark Beauty professional facial steamer has not been oversold in the advertisements you’ve come across. It does as it says! It’s a 2 in 1 aromatherapy, herbal and ozone steamer. An herbal basket for fresh or dried herbs is included in a satchel or a few drops of oil or scent on a gauze pad. The steamer is height adjustable with a 180-degree nozzle swivel allowing for easy access to the face. All that is required from you is to sit back relax and feel younger. It has an automatic low-water auto shut off feature that accords you great safety. 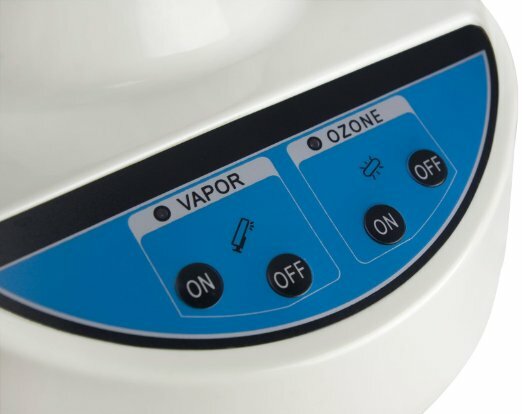 The ozone function sterilizes the steam ensuring a clean, sterile environment, while the micro droplets it generates penetrate the skin barriers well leaving it looking young and healthy. 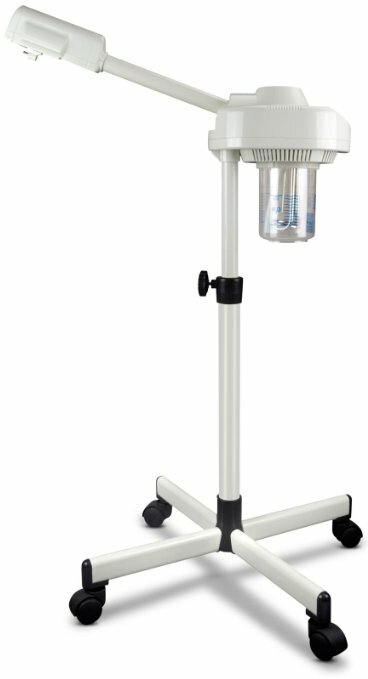 EMark Facial Steamer is a jack of many trades with its four glass gas filled electrodes. Each one has a customized function to ensure excellent results. It has a mushroom electrode specifically used for large areas such as the forehead and back. Next up is the spoon electrode detailed for sensitive areas (under the eyes). The sparker or zapper electrode works wonders on spots like pimples. Rake electrode for stimulating blood circulation especially on the scalp. Avid steamers find its unique combination of aromatherapy, ozone, and herbal steam appealing. This improves both the texture and luster of your skin. Requires a certain amount of technical know how to operate it. Its versatility works to your advantage by not only cleansing but also toning your skin. Facial steamers have enormous diversity each with unique features to offer. Panasonic and KINGA have amazing nano steaming technology; Conair comes with additional beauty products, and eMark Beauty is designed for aromatherapy. In my opinion, KINGA ionic facial steamer and Sauna is a worthy purchase. It waged a war on my acne infested face and won. Before settling on one model, be sure it suits your needs to a tee.